Let me just make a disclaimer right off the bat: this is not going to be as fantastic as seeing a professional photographer. As the friend of a brilliant photographer who I love & respect (click here), I'm very familiar with the difference in quality. That being said- this is a fun alternative! John and I *love* getting pictures taken together, but getting them as often as we'd like is definitely cost prohibitive. This is a fantastic solution for such a situation! The cost is ridiculously cheap, anyone (even in the tiniest spaces!) can do this and turn their home into a studio for between $3 & $33. If you're wondering what the difference is, one method uses an old bed sheet and the other uses an actual backdrop (click here). The key to getting great results is to a) reallyyyy press the wrinkles out (failed) and b) get great lighting. Natural lighting would be beautiful, but if you have extremely bright lights in your home, that will work, too. We didn't have great lighting. So if you're wondering what the results are like with sub par, standard fixture lighting + an old bed sheet- here they are! I'd like to do this again in the day time and with one of the backdrops I found online, but I wanted to experiment first. This way you can see the absolute worst results! Aside from the sheet/screen, the only other thing you'll need is a set of 3M Command Hooks. 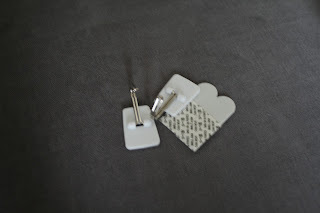 We used the kind that hinge, but if you're hanging your backdrop from the wall, you can get any kind you'd like. (1) Choose a space. If you have a bare wall, that would work best. 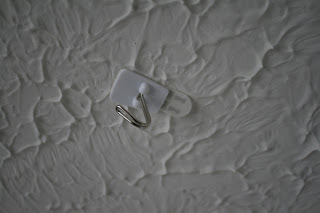 You can also hang it from the ceiling using the hinge hooks! my test picture to adjust the hooks for standing subjects. It's a good thing I'm already married! Haha, sucka! (2) Mount your hooks. 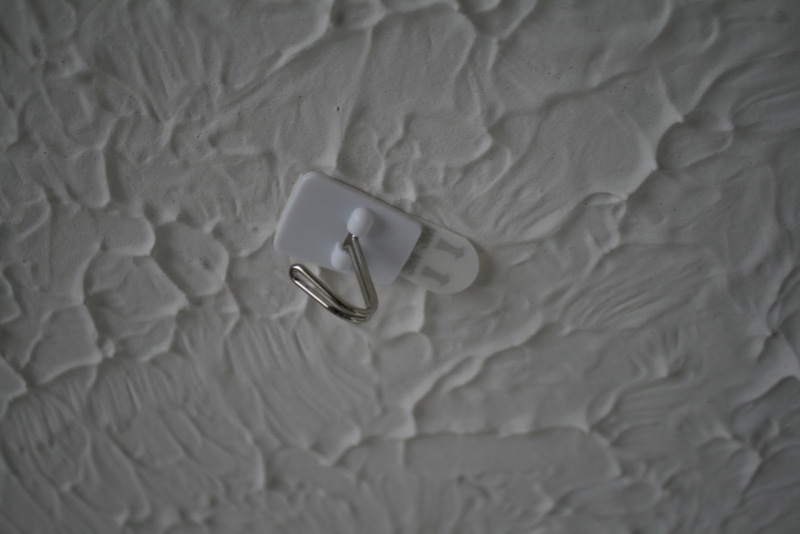 Measure out how long your screen/sheet is and then mount your hooks on the wall or ceiling. I mounted hooks in both places to give us more options. Remember to put your hooks high enough to photograph standing people. I recommend having a high and low option, so that you can re-hang your screen depending on whether or not your subjects are sitting or standing. (3) Hang your screen. I just put a little safety pin in the corner of my sheet and hung it on the hooks! (4) Photograph! Experiment with the lighting in your space to see what gets you the best results. And have fun! A real screen + good lighting would have given us a much more white background, which is what I was trying to achieve. However, you could do this with *any* fabric background if that's not your goal. In fact, I have an awesome fabric print at home, maybe I'll try it again with that one before I put up the pro muslin backdrop. I hope you had a fantastic Valentine's Day. I have an incredibly busy week, so John and I are celebrating this weekend instead. There's a very nice sushi restaurant about an hour away that we absolutely LOVE and never get to go to. We're going to eat there and then I get my present... a brand new tattoo! Yay! It may sound like a strange gift to you, but it's our Valentine's Day tradition. Each year, one of us gets a tattoo about the other person. Totally bizarre, I know. And most people don't even realize I have tattoos (they're pretty well hidden). Not sure how many more years we can keep this up, but so far it's fun. We started a new tradition last night, too. 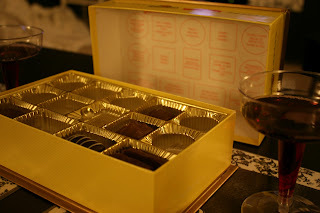 John came home with a big box of chocolates for me. I've never gotten a box of chocolates before, so I was pretty excited. He told me that it was the exact same one that his dad gets for his mom each year, and now he wants to get them for me. It was sweet. He's such a great guy. Last thing, and so important, if you haven't already you should enter our giveaway. 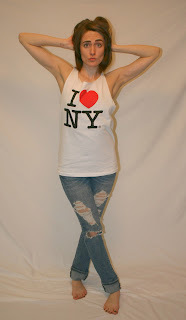 I'm giving away 10 items, 2 each of our top 5 blogs. It's so simple to enter, just head over to our FACEBOOK PAGE and 'like' it. Then comment telling me what you'd like to win. If you want to see what is available, click HERE. Don't be shy. Seriously... go enter!